The American South is the region of the United States that lies south of the Mason-Dixie line, and ranges from Texas in the West, to the Atlantic Coast in the East. From the most part, the South was part of the Confederacy during the American Civil War (1861 to 1865). Southerners are known for both their hospitality and their cooking. Southern cooking offers a hearty and delicious choice of dishes (we have considered African-American cuisine, Cajun and Creole cuisine, and Soul Food cuisine separately). Brunswick stew - A stew based on tomatoes, corn, lima beans, okra and other vegetables. 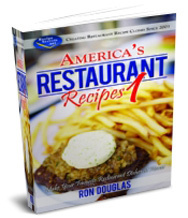 In many traditional recipes, rabbit or squirrel meat are used, but nowadays beef, chicken and pork recipes are also common. Both Georgia (because of the town of Brunswick) and Virginia (because of Brunswick County), have been claimed as being the original source of the stew. Burgoo - This is a stew from Kentucky. It is traditionally made from whatever meats and vegetables were available, and hence in the past often included meat from squirrel, opossum or game birds. Today it is uaully made with chicken, mutton or pork, and is eaten with cornbread (fried bread made from cornmeal) or corn muffins. Chicken fried steak - A piece of beef steak coated with seasoned flour and then fried. It is a popular breakfast item in the South. The dish does not contain chicken, but gets its name because the method of preparation is similar to that used for making fried chicken. Chit'lins - Hog small intestine, cleaned and fried. Country Captain - A chicken curry stew made from chicken and onions, usually with raisins and almonds, and often with other ingredients added. The dish is particularly popular in Georgia and South Carolina. Fried okra - Okra fried coated with seasoned flour and/or cornmeal, then fried. This dish can be eaten as a side dish or as a snack. Hoppin' John - Black-eyed peas or field peas, with rice, chopped onion, and bacon. Eating the dish on New Year's Day is supposed to bring a year filled with luck. On the following day (January 2nd), the dish is called "Skippin' Jenny", and eating is supposed to both signify frugality, and improve one's chances of future prosperity. Liver mush - Liver mush is a food stuff made from pig liver with cornmeal, and flavored with pepper and sage. Slices are cut from a loaf of liver mash, and these are cooked in a skillet, or even added to omelette or pizza. Liver mush tends to be particularly popular in North Carolina. She-crab soup - This soup from South Carolina's coastal regions is made from milk or cream, with fish stock, Blue crab meat, and crab roe. It is sometimes flavored with a dash of sherry, onions, shallots, and nutmeg. Purée of boiled rice is also sometimes used to thicken the soup. This dish is considered the signature dish of Charleston, South Carolina, and gets its name from the female crab, the eggs (roe) of which are a key ingredient in the soup. Key lime pie - A dessert made from key limes (small limes native to the Florida Keys), egg yolks, and sweetened condensed milk in a pie crust. 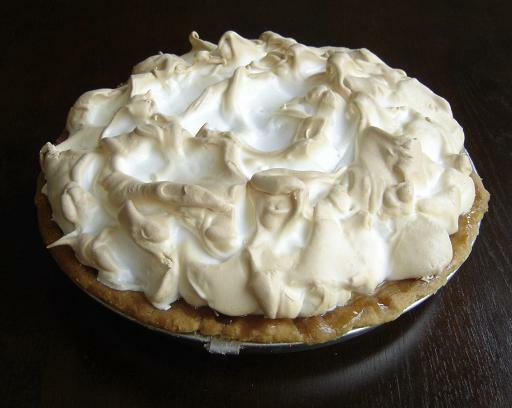 In the Florida Keys, the pie is made also using the egg whites which are used to make a meringue topping. Key lime pie is the official pie of the state of Florida. Peanut brittle - A hard and brittle confection made from caramel or sugar-syrup containing peanuts. Pecan pie - > A dessert pie containing a custard made of corn syrup and pecan nuts. Bourbon whiskey or chocolate are also sometimes added to the custard.